When Guy Cattin made a commitment to utilizing the traditional skills that his family watchmaking business had developed over several generations to create a whole new generation of mechanical watches, watch aficionados around the world were the beneficiaries. These fine timepieces took advantage of the very best Swiss watchmaking traditions and manufacturing techniques and adapted them to the personality, taste and needs of today’s sophisticated consumer. The result was a complete line of fine mechanical timepieces that maintained the traditional high standards that Swiss watchmakers were famous for, while providing the style and good looks that today’s customers demand. The Catorex Chrono Sport Automatic Black Dial Chronograph, a part of the company’s new 1858 Collection, offers some very compelling reasons to wear a Catorex watch on your own wrist. This sporty, sophisticated timepiece features a handsome black dial with three easy-to-read sub dials for timing events. The orange luminous hands and numbers provide a perfect complement to the black calfskin strap with its distinctive hand stitched orange accents. This spectacular timepiece is powered by a precision Swiss made ETA 7750 movement that is engineered to provide years of reliable service. With a scratch resistant genuine sapphire crystal and a 316L stainless steel case that is water resistant to 330 feet, this watch is ready for anything. 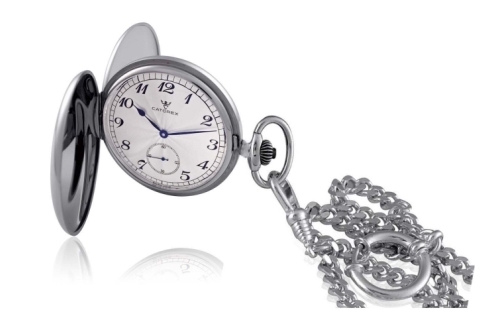 Catorex Cattin Watchmakers have been making high quality mechanical watches in Switzerland’s Jura region since 1785. They’ve put everything they’ve learned from generations of watchmaking into the development of a brand new generation of fine timepieces. 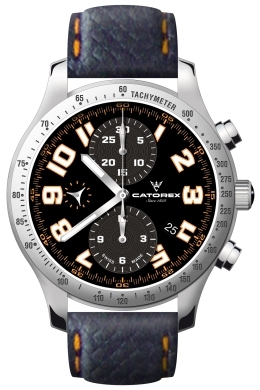 If you’d like to experience what it means to own fine Catorex watch yourself, look for an authorized Catorex dealer and reserve your Chrono Sport Automatic Luminous Black Dial Chronograph today. What travelers are really looking for in a GMT watch. 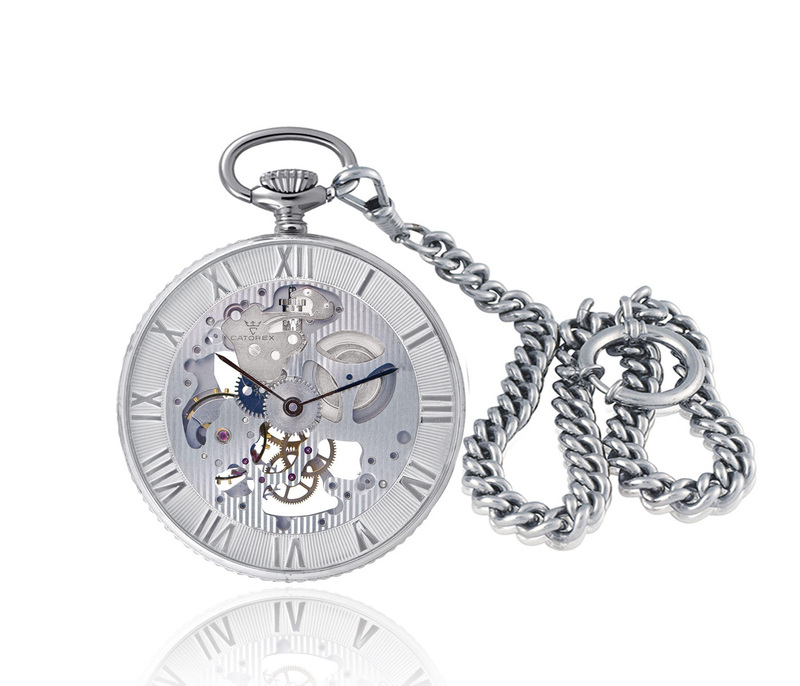 Catorex Cattin Watchmakers perfected the mechanical timepiece before most of us were born. For five generations, this family owned company has made a fine art out of developing and refining the wristwatch in the heart of Switzerland’s famous watchmaking Jura region. Catorex watches haven’t always been well known, but Guy Catorex, who runs the company today, is changing all that with his commitment to creating a whole new generation of mechanical watches that have been adapted to the personality, taste and needs of today’s sophisticated consumer. Catorex timepieces exemplify the very best of the Swiss watchmaker’s art, along with a new sensibility that is totally attuned to the needs of today’s modern world. 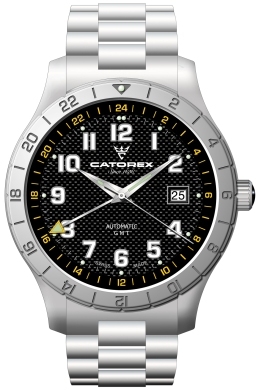 Catorex watches are beautifully made, completely reliable, and styled for today’s customers. Catorex Mens Voyager 3 Automatic GMT watch provides a perfect example of the company’s commitment to adapting generations of watchmaking expertise to meet the personality, taste and needs of today’s sophisticated consumer. 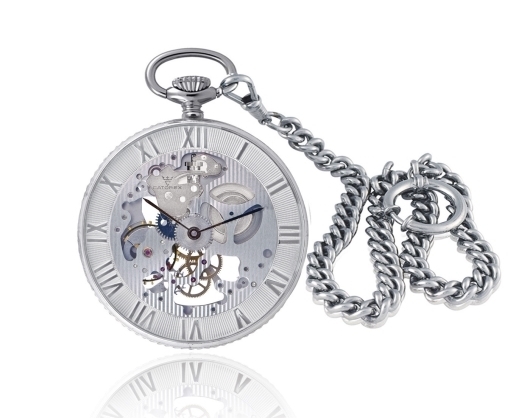 This fabulous watch is easy-to-read in any light and even easier to enjoy. 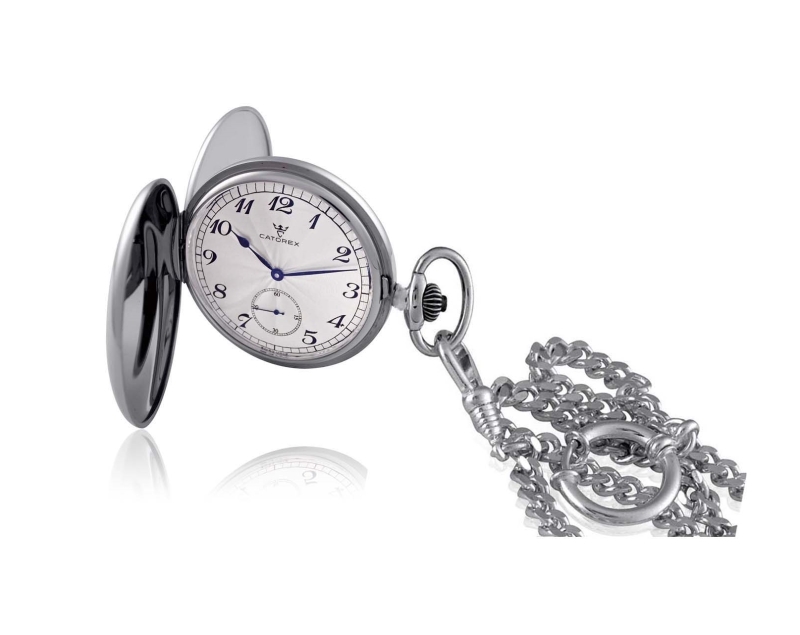 It couldn’t be easier for travelers to keep track of the time, wherever they happen to be. A rotating 24-hour bezel with distinctive engraved numbers encircles a second 24-hour chapter ring to make changing times zones easy and intuitive. The inner 24-hour dial features bright yellow lettering, so the second time zone will never be confused with the local time display. The four-hand GMT watch features a date window at 3 o’clock, along with a spectacular black, carbon-fiber dial that accentuates the bold, easy-to-read numbers. This is a watch for today that is still manufactured using the traditional watchmaking skills that have been perfected for generations in Switzerland’s famous watch valley. The distinctive 41mm stainless steel watch is powered by a precision ETA 2893-2 Swiss-made automatic movement. It has a scratch resistant sapphire crystal, a glass exhibition style screw down back, and is water resistant to 330 feet. If you’d like to experience what it means to own fine Catorex watch yourself, look for an authorized Catorex dealer and reserve your Voyager 3 Automatic GMT timepiece today.